Throw Pillow Cushion Cover Love You More Square 18" Only $3.29! You are here: Home / Great Deals / Amazon Deals / Throw Pillow Cushion Cover Love You More Square 18″ Only $3.29! Ships FREE! 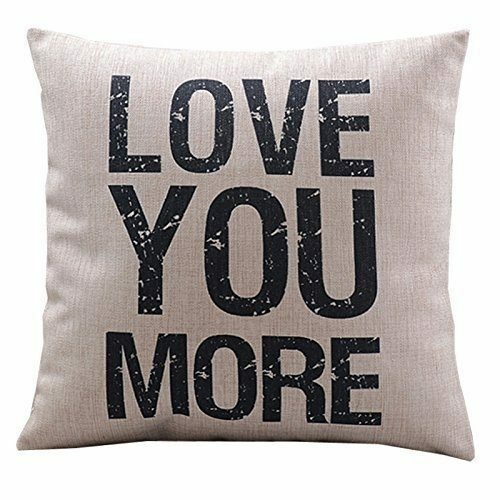 Throw Pillow Cushion Cover Love You More Square 18″ Only $3.29! Ships FREE! All you need is love! Head over to Amazon to order the Throw Pillow Cushion Cover Love You More Square 18″ Only $3.29! Ships FREE!